Please note: Classical IPR will be interrupting Friday's Performance Today at about 10:30 a.m. for a live broadcast of the Detroit Symphony Orchestra. This should not affect the performance by Chalifour and Grgic. 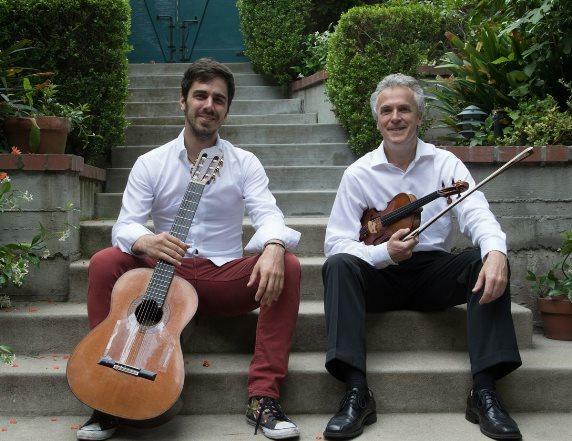 This summer, guitar virtuoso Mak Grgic and world-renowned violinist Martin Chalifour came to Interlochen. Their July performance in the Dendrinos Chapel Recital Hall featured works by Vivaldi, De Falla, Paganini, Piazzola and more. The entire concert program can be found below. Click the image for a larger view. Listen this Friday for an evening full of great music from a fantastic duo. Classical IPR In Concert airs Friday at 8:00 p.m.
Violinist Martin Chalifour is the principal concertmaster of the Los Angeles Philharmonic and an adjunct professor at USC Thorton School of Music, and Dr. Mak Grgic is an esteemed classical guitarist and an Artist Diploma student at USC Thorton School of Music. They will be performing tonight at Interlochen Center for the Arts. 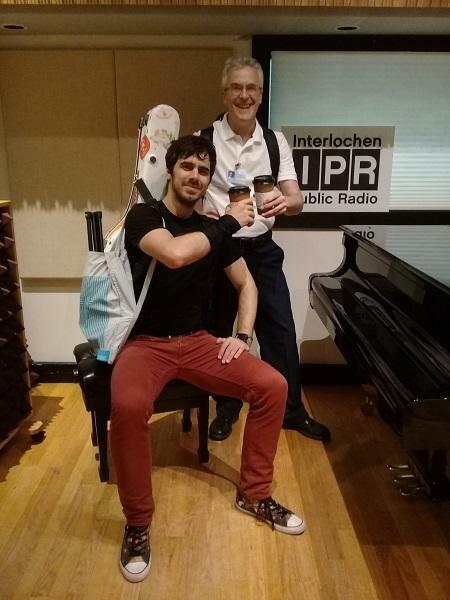 Chalifour and Grgic visited Studio A to perform works of Bartok, Kreisler and Piazzolla. Martin Chalifour and Mak Grgic will perform at their duo recital tonight at 8pm in Dendrinos Chapel and Recital Hall at Interlochen Center for the Arts. Click here for more information. Violinist Martin Chalifour and guitarist Mak Grgic perform and chat with IPR's Kate Botello about their upcoming concert.